This Plugin enables you to display instagram media from user. First of all, you'll need an Instgram API account. 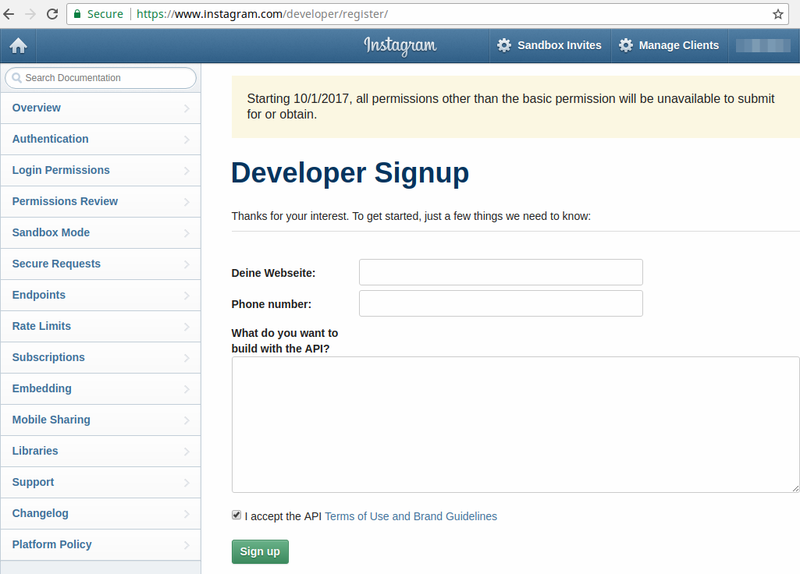 Open Instagram Website and click the API link in footer menu (https://www.instagram.com/developer/register/). Enter the required data (website-domain and Displaying Feed-Data on Website.) and click Sign up. Switch on tab Security. Here you've to check Disable implicit OAuth and uncheck Enforce signed requests. Finally solve the Captcha and click Register. 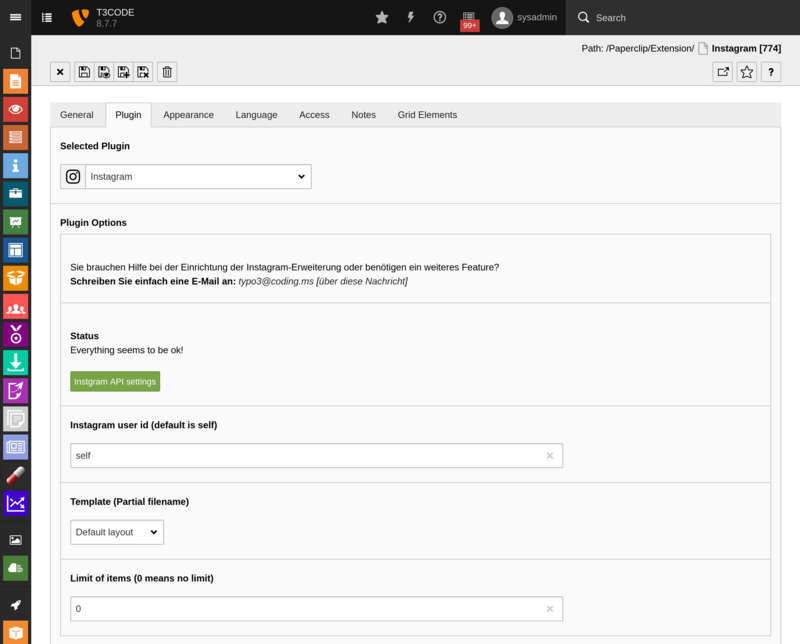 You'll be redirected to the overview page, where you need to continue by clicking on manage. In this area you'll find th required Client ID and Client Secret. In case of using only own Instagram accounts, you don't need to switch to Production. The Sandbox mode works fine with own accounts. 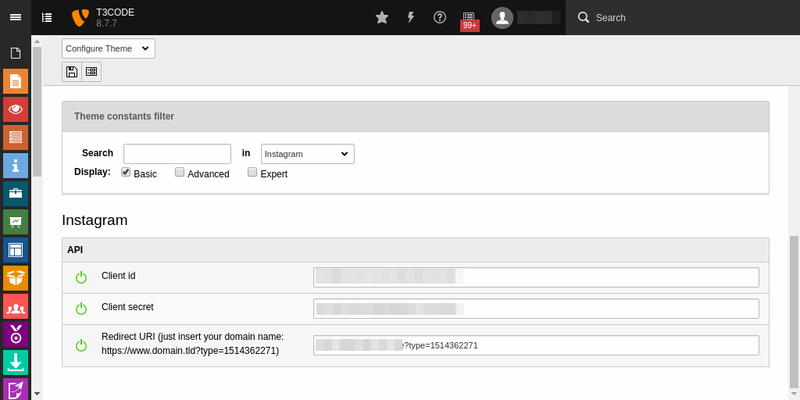 After installing and including of the required static templates, you need to configure your Instagram API data. For that configuration open the Constants editor or alternatively the Themes Module and select Instagram within the filter select box. 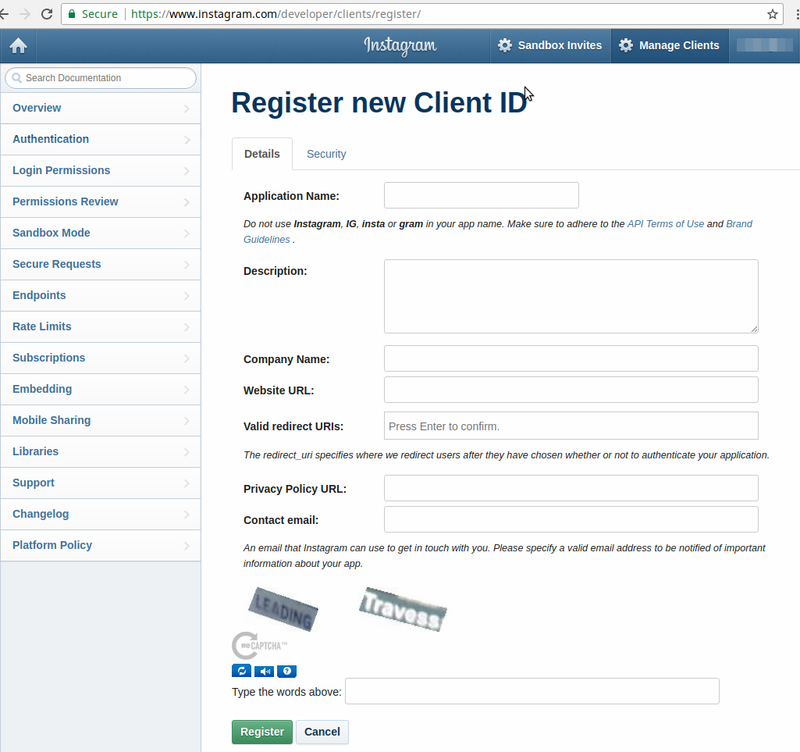 Simply enter your generated Client ID, Client Secret and Redirect URI. 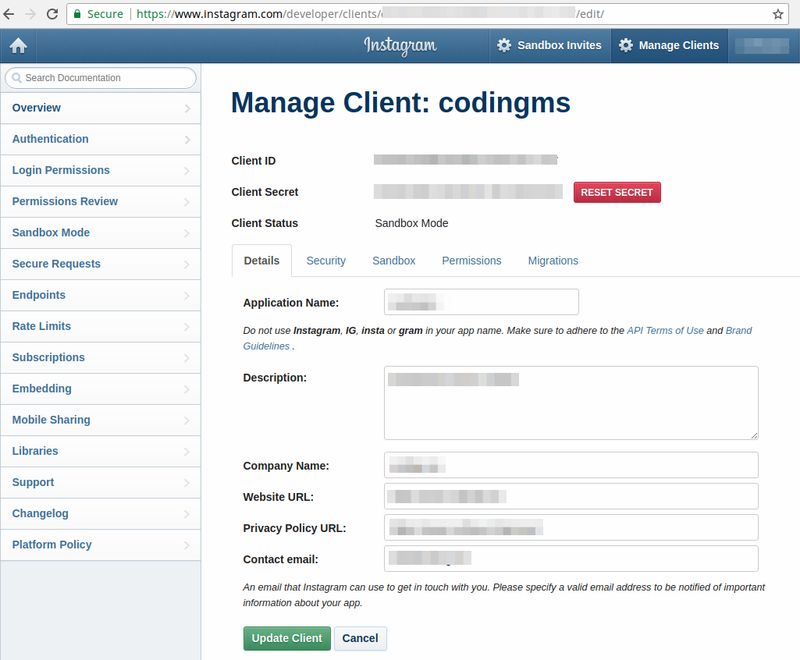 In order to authorize the API, simply click on Instagram API settings. 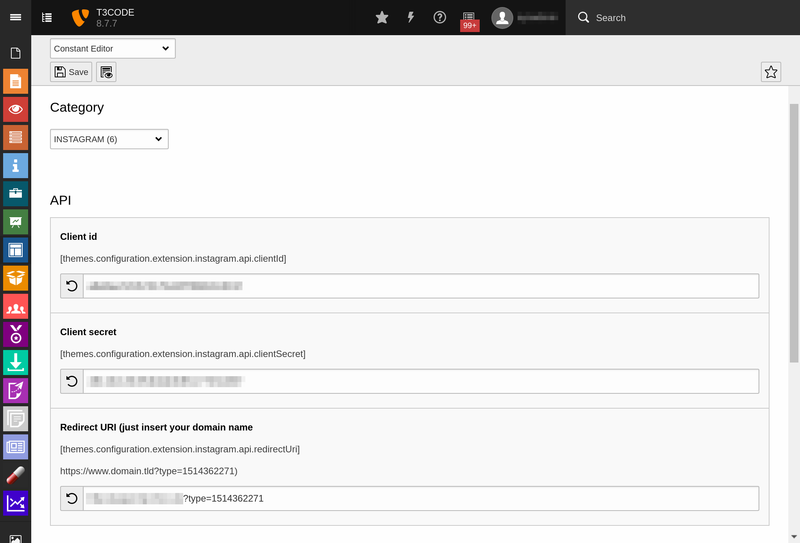 This will open a configuration page where you can start the authorization by clicking Authorize. 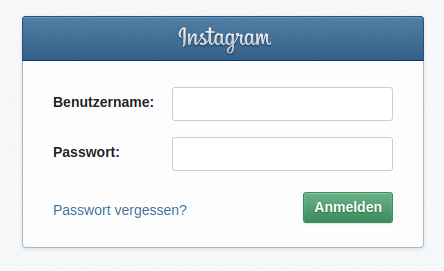 Now you're redirected to the Instagram-Website, where you've to login and authorize the API. After an successfully authorization you're immediately redirected back to the configuration page. In case of an successfully authorization it appears Authorized! above the configuration buttons. 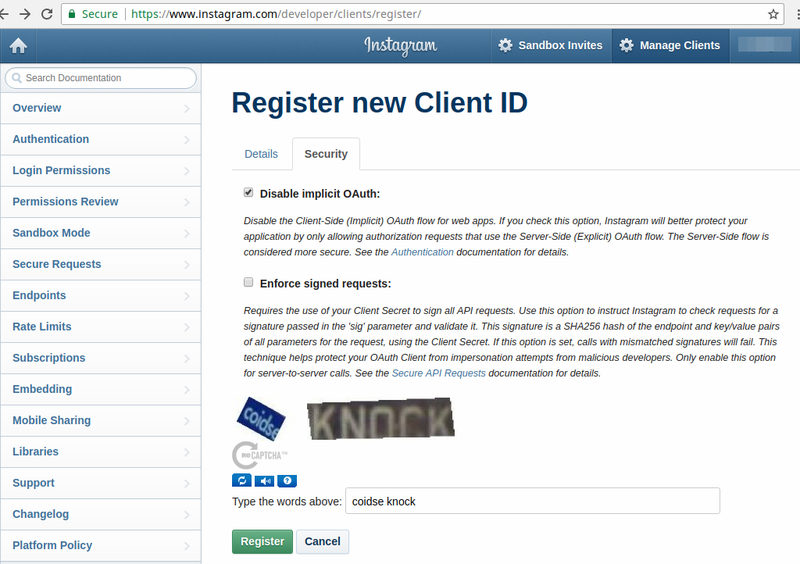 How to find a Instagram user id by username? The required libraries will be loaded by a CDN.